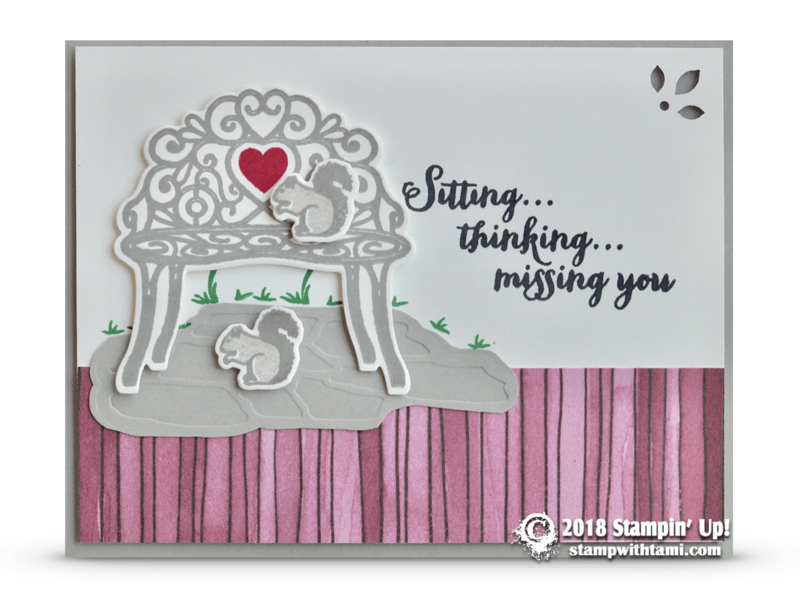 This sympathy card is so sweet with the little squirrels and the “heart” popping off the bench. Created with the Stampin Up Sitting Pretty stamp set and coordinating Pretty Park dies. The designer paper is from the Share What You Love collection. See more info and ideas from the bundle below. love the new colors, and the stamp pads, really nice.